The latest incumbent of the proverbial “hot seat” at Forthbank has left the building following a truly toe-curling 3-0 defeat to Albion Rovers at Cliftonhill. The Wee Rovers had a single point and an extremely negative goal-difference pre-match, but that mattered not as they cantered to a three-goal victory against a thoroughly dis-spirited looking Stirling Albion side. This horror of this performance and result, allied to Stirling being on a run of 3 wins in 21 matches, saw things come to a head. Without much ceremony, an incredibly brief statement simply stated the obvious i.e. Goodbye Mr MacKay. Nobody was surprised, and reaction amongst Stirling fans has been fairly universal – there was no other decision to take. Was a bit of a strange time under MacKay. He replaced the disastrous “project” that was Stuart McLaren and, really, things didn’t get much better. In his first full season, we started well and led the table after a dozen or so games. Unfortunately, the wheels kinda came off and despite a brief spurt to make the play-off spots we slumped again and only just hung on to achieve post-season action. However, we lost both legs to Peterhead in the semi-final and actually ended the season on a run of nine matches without a win. Moving on, an uninspired off-season, with a lack of anything remotely resembling a “marquee” signings, tempered expectations somewhat for the new campaign. One win in four in the league-cup was then followed by two wins in eight in the league (plus defeat at Alloa in that nonsense tournament with the Welsh, Irish, English non-league sides). Worst of all was the manager’s continual bemusement after defeats. Time and again he just had no answers and you got the feeling that whatever happened next week would be down to luck more than judgement. Sadly for Dave that luck ran out for good at in Coatbridge. Who next? Well, time will tell. Whoever it is we need to finally find someone who can lead us out of the doldrums. For far too long we’ve drifted. For too long we’ve watched sides get promoted who we should be getting promoted ahead of. Stirling is a decent sized town and has the potential for so much more. Those who turn up to watch the side deserve so much more than has been delivered over the last few years. ‘Mon the Beanos and thanks for reading. This entry was posted in Bits and Pieces, Real World, Sport, Stirling Albion and tagged Dave MacKay, Football, Sacked, Stirling Albion on September 30, 2018 by paulmclem. Just a brief addendum to the Blog, this Sunday lunchtime, to make large the news that Stirling Albion have announced their new managerial line-up. Following the departure of Greig McDonald and Marc McCulloch, after the 4-0 home reverse to Stenhousemuir, the club set about the process of finding their replacements. After two weeks of sifting applications and hosting interviews that process is now at an end. The result is that former players Stuart McLaren and Martyn Corrigan have returned to the club. As the above piece on the SAFC official organ proclaims, Stuart ‘Skippy’ McLaren is to become manager with Martyn ‘Kaiser’ Corrigan his assistant. Including nicknames may be overkill on my part, but it shows they were well enough liked the first time to earn one! This blog, and I’m sure all Albion fans around the globe will wish Stuart and Martyn the best of luck. Based on the evidence of the match at Hurlford, they’ll need it. This entry was posted in Real World, Sport, Stirling Albion and tagged Football, Forthbank, Kaiser, Management, Martyn Corrigan, Scotland, Skippy, Sport, Stirling Albion, Stuart McLaren on November 2, 2014 by paulmclem. The days of me traipsing around the lower league grounds of Scotland writing match reports for Stirling Albion are over. However, I always said that for special, one-off, occasions I might dain to put pencil to notepad again. When Stirling were drawn away to Scottish Junior Cup holders, Hurlford, in the third round of the 2014/15 senior version, that was deemed occasion enough to come out retirement. So, enough of the waffle, onto the game. Thanks to digital photography I don’t need to list the two teams by hand – the pic to the left gives you all you need to know. In truth not the most inspiring Albion XI of all time, and it seems the caretaker management have decided to change very little while at the helm. Some familiar names in the Hurlford line-up with Neil McGregor, Steve Masterton and Stewart Kean the most notable. Perhaps all three are past their prime, but plenty of experience to call on none-the-less. The match kicked off on the sloping Blair Park pitch with a cold wind blowing from the clubhouse end of the ground. The pitch actually sloped from side to side, as well as down towards both goals – that apart it was a decent enough surface for a game of football. The first attack in anger came when Hurlford’s Paul McKenzie drifted a deep cross behind for a goal kick. Up the other end, James Creaney had a similar effort, which this time required home keeper Ally Brown to clutch the ball under no real pressure. Brown then reacted well to flop onto a quick turn and shot by Gordon Smith from the edge of the box. A long distance free-kick was then chipped in by Dale Fulton towards Craig Wedderburn, only for the gangling defender to steer his header wide of target. Hurlford’s first serious attempt at Calum Reidford’s goal saw them take a shock (?) lead. A 20 yarder from Stevie Masterton was blocked and on the follow-up STEWART KEAN cracked the ball into the roof of the net. The home fans in the crowd of 551 were delighted, and they nearly had a second to cheer as Masteron tugged a shot just wide. Has to be said the Beanos were falling off tackle after tackle as the Ayrshire Juniors looked to take a firm control on proceedings. A rare foray upfield by Graham Weir saw his cross met by Steven Doris, and his deflected strike had to be turned past by Ally Brown. The resulting corner reached Gordon Smith whose header landed on the roof of the net. As the half wore on it was Hurlford who became stronger, as the Beanos struggled to string any passes together. A cross into the visitors box was met by scorer, Stewart Kean, and his scuffed header looked netbound until Callum Reidford clawed it out at the last second. A long punt from inside their own half was then skimmed just wide of target via the head of Chris Robertson. It wasn’t going to plan for Darren Smith’s charges, and yellows apiece for full-backs Lee Hamilton and Ross Forsyth didn’t help matters. The game could have been almost beyond the hapless Beanos, but thankfully Kean headed over from a Gus Cochrane centre when a goal seemed certain. Stirling’s interesting strategy for defending corners appeared to be to let the Hurlford player win the ball and put it wide or over. This was further emphasised when another set-piece delivery was met by an unmarked Hurlford head as Kean bulleted one past Reidford’s right-hand post. The last few minutes of the opening 45 were as good as it had been for Stirling. 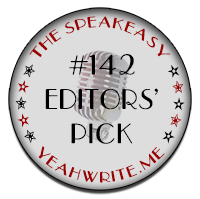 David McClune saw an ambitious dig deflect harmlessly into the gloves of Ally Brown. A shy then broke into the path of Dale Fulton, and another deflected effort required Brown to get down low to tip the ball behind. From the next corner Chris Smith headed high and wide. Nothing too subtle from the Beanos at this stage. But from one long ball the rarely described, Steven Doris, sclaffed an angled strike tamely at Brown. This was about all she wrote for the period of time known to some football watchers as ‘the opening 45’. Therefore as the teams trooped off for the half-time Creamola Foam and Cheesy Wotsits it was the hosts who maintained a deserved advantage. Just one change at the oft lamented ‘lemons’, and amazingly it wasn’t an Albion one. Instead, injury forced Neil McGregor to be replaced by Ross Robertson. This switch led to Ross’s namesake, Chris, moving from up front, back into defence. Ross Robertson was soon in the action as a foul on the Hurlford sub saw Craig Wedderburn shown yellow. The wind had if anything picked up during the break. This allied to Hurlford seeming to run out of steam and the Beanos remaining absolutely clueless meant play became very bitty. In fact the next few entries in my notes are all subs and bookings! James Creaney and Lee Hamilton both made way fairly quickly as Phil Johnston and Ross McGeachie took their places. United withdrew the knackered looking Stevie Masterton with Jamie Wilson coming on. Stirling sub, Ross McGeachie became the next visiting player to earn yellow from Alan Newlands. When a chance eventually came in the second half it was a huge moment in the game. A corner was swung in from the Albion left and the unmarked Glen Mitchell headed a foot wide of Reidford’s right-hand post, from almost point-blank range. A terrible miss when the net seemed set to bulge. Stirling’s response was a weak shot from Phil Johnston which sailed into the gardens behind the ground. The home side then made their third, and last substitution, as Paul McKenzie was hooked in favour of Martyn Brown. Another player was soon heading off the pitch, although on this particular occasion there wasn’t one replacing him i.e. Craig Wedderburn was sent off for receiving a second yellow following a clumsy foul on Ross Robertson. From the free kick, Gus Cochrane’s dipping effort was alertly palmed behind by Callum Reidford. A goal, and a man, down and creating next to nothing, our hopes appeared bleak. Yet, the Hurlford vuvuzela was stunned into momentary silence as out of nothing their favourites were pegged back. A Dale Fulton corner, from the Stirling right, was swung to the back post from where CHRIS SMITH poked a header just inside Ally Brown’s left hand upright. Couldn’t exactly say it had been coming, but in truth United hadn’t really made capital on Stirling being down to 10. After a brief wobble Darren Henderson’s men pushed forward once again. Gus Cochrane picked out the Stewart Kean in acres of space, but the former Ayr striker’s low shot skimmed across goal without any takers. Ross Robertson then set up Kean for another attempt, a header over from six yards out. Time was almost up. The final moments saw Hurlford pen Stirling back with a succession of corners. In amongst them Dale Fulton was carded for what was likely persistent fouling. Despite plenty of balls into the Albion box the junior cup holder’s were unable to fashion a last-gasp winner. So as Alan Newlands blew for time the match ended all square with the replay set for Forthbank next weekend. In summary I’d say we’ll probably never play as badly as that again and not lose – we were dreadful, and any new manager has his work cut out. For their part Hurlford will be disappointed not to win, but if you don’t take your chances that’s what happens. However, it’s not all over. Any Albion fan expecting an easy ride in the replay will likely be in for a rude awakening. Ah well, I enjoyed being back. Keep yer eyes peeled and one day down the road I might just enjoy being back again. Thanks for reading, and Up the Beanos! 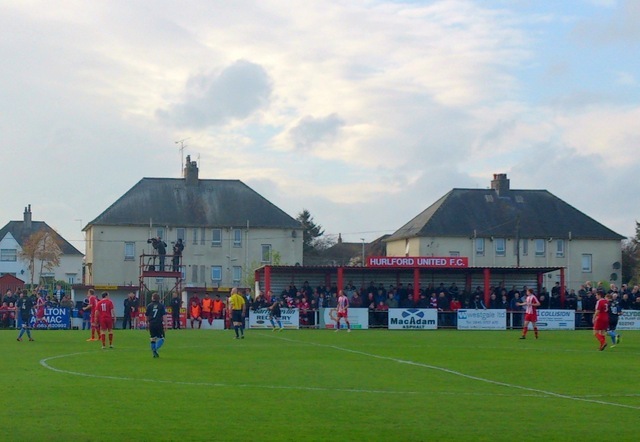 This entry was posted in Real World, Sport, Stirling Albion and tagged Away Day, Ayrshire, Blair Park, Draw, Hurlford, Juniors, Scotland, Scottish Cup, Sport, Stirling Albion on November 1, 2014 by paulmclem. Up until a few weeks ago it hadn’t been a particularly memorable season for Stirling Albion; in fact it hadn’t been memorable at all. A promising start fizzled away as we found ourselves several points and places distant from the one automatic promotion spot. However, in the Scottish Football League there is of course the season saving entity that is the “Play-Offs”. For those who aren’t aware what these beasts are, well simply put, they give teams who haven’t automatically earned promotion, or relegation, the chance for redemption. Even this way out of the murky waters of SFL2 appeared unlikely at one point, until a barnstorming end to the campaign saw us rack up the wins needed to secure third place and a date with Annan Athletic. As an aside, the play-offs are funny things. If you’re not in them then it’s because your season is over, and as such you’ve likely switched off from football. I know myself that when this happens the play-offs pass by almost unnoticed. Yet, if you’re in them then they are undoubtedly the most intense games of the season. To come out on top you play four games in twelve days: a two legged semi-final followed by a two legged final. As the third placed team our opponents were the second place team, the aforementioned Annan Athletic. The highest placed team gets the second leg at home which meant our play-off run started on Wednesday 7th May at home to the Galabankies. A fast start saw Stirling 3-0 up in half an hour. Despite cooling off after the break we still managed to record a 3-1 win on the night. Three days later a big Stirling support made the 100 mile trip to the border town of Annan for the decisive second leg – they weren’t to be disappointed. Another quick start had the Beanos two up, and 5-1 on aggregate after only a few minutes. The home side rallied briefly before the visitors cruised to a 5-3 win on the day and a whopping 8-4 over the two legs. In the final, Stirling would take on East Fife. The side from Methil in Fife were fancied by many to challenge for promotion in 2013/14. Those predictions were left looking rather silly as a theoretically strong Fifer’s side simply failed to add up to the sum of its parts. In their semi-final it required a marathon penalty shoot-out to overcome Clyde. Indeed Clyde blew a chance to win when Michael Daly saw his penalty saved. It was therefore Gary Naysmith’s East Fife outfit who would be our opponents. Stirling manager Greig McDonald had eight years as a player with the Fifers, but there is no doubt where his loyalties now lie. Therefore it came down to this – one tie, two legs in five days. The prize for East Fife, to stay in SFL1; the prize for Stirling Albion, to get promoted to, and replaced East Fife in SFL1. The first leg of the final took place on Wednesday 14th May at an expectant Forthbank Stadium, the home of Stirling Albion. A big home crowd, and a decent away turn out, witnessed a fairly nervous encounter. Stirling took the lead before the break when veteran skipper Ross Forsyth looped a header into the net. Sadly though, Stirling failed to build on the momentum of this goal and it was the visitors who looked more of a threat after the break. Substitute Scott McBride bulleted a leveller following a corner, before in the last minute another sub, Nathan Austin, stunned the Stirling fans with a second. There was still time for the Beanos to hit a post and miss a sitter, but as the final whistle blew it was Gary Naysmith’s men who had earned the spoils with a 2-1 win. Stirling therefore had it all to do with the second leg to be played at East Fife’s New Bayview Stadium five days later. Despite being a goal down, some 700 Stirling Albion fans travelled to Fife still optimistic about their favourite’s chances. Win the game after 90 minutes and the worst we could have would be extra-time. However, if we were two goals or more clear at the end of regulation we would of course be the play-off winners. On a pleasantly warm afternoon the agenda seemed set fair from the start. East Fife were looking to negate Stirling, lock-down midfield and to keep our potential match winners as far as possible from their goal. To be fair in the first half they did a good job of it. The second period was another tight affair. With only 16 minutes left on the clock a goalless draw seemed set to end our season on a low note. However, then step forward our little and large goal heroes. Firstly, top scorer Jordan White got on the end of a knock-down to loft the ball past the East Fife keeper. It was then the turn of his pint-sized strike partner to take centre stage. With almost nothing on, Sandy Cunningham lashed an outrageous half-volley past the spectator that was the East Fife custodian. It’s unlikely the home keeper even saw the ball as it ripped past him into the net. To say Stirling fans went a bit potty would be an understatement. There was still ten minutes or so to go, but other than one near post save from Beanos goalie David Crawford, the host’s goose was cooked. It was therefore with relative calm that Stirling made their way to the final whistle, and promotion. Well done to the players, coaching staff, Executive and fans of Stirling Albion for making such days possible. See you all again next season in SFL1. This entry was posted in Real World, Sport, Stirling Albion and tagged Annan Athletic, Bayview, East Fife, Football, Galabank, Jordan White, Promotion, Sandy Cunningham, SFL1, Sport, Stirling Albion on May 18, 2014 by paulmclem. I can hear you, “Oh no, he’s about to talk about sport”. Well, that’s just hard cheese. I am indeed going to talk about sport. Even worse for some I’m going to talk about football. Bit of background. For my sins I have followed the fortunes of Stirling Albion FC since early 1981. It all began one Saturday morning I was bored so I asked my mother if I could go and watch Stirling play. They were at home to somebody. They won by a long forgotten scoreline. I was hooked. Unfortunately that first game was the last time Stirling scored a goal that season. Bearing in mind this was January and the season doesn’t finish until May lets you know how long that was. Just to clarify. The week after I started supporting Stirling Albion they set off on an all time British record of not scoring for 14 games. However, as a 13 year old kid I wouldn’t have been any where else on a Saturday. Terrible football but great memories. Oh yes, we also won a Scottish Cup game 20-0 once. I was there. 5-0 at half-time, 15 more in the second half. We lost in the next round. That’s football. 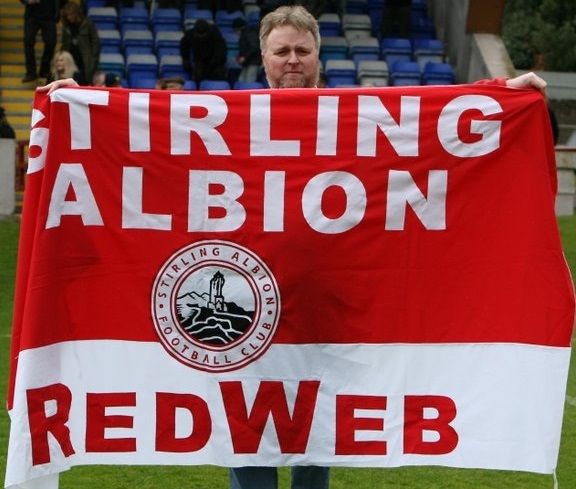 To be more precise that’s Stirling Albion. Over the 32 years since that fateful afternoon in 1981 there have been highs and lows. More of the latter but there comes a point where it all merges into the same thing. You go and support your team. Some you win. Some you lose. Some you draw. You come home and repeat the following week. It’s just something you do because it’s in the blood. Well, these days the passion doesn’t run quite as strong as it once did. For the last 15 years I’ve run this. However, after the current season ends I will be stopping. Time for others to carry the torch. I want to do other things including writing on here. I want to see what else I can do other than write about football. Well, that’s a bit of background. Quite a lot of background. Even those who like sport may have drifted off by now. As for those who don’t like sport then I think we probably parted the ways several sentences ago. I would like to introduce those still here to the point of this article. 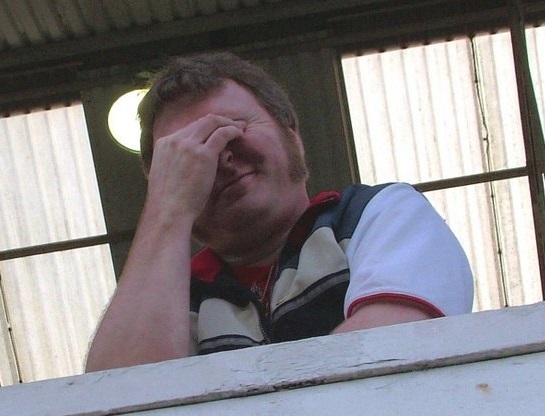 Namely that Stirling Albion won a game today. What made that so special was the fact that it was our first away win in our division all season. The season started in August. It’s now March. That’s a long time. The fall guys were Elgin City. Elgin have been in terrible form and some even expected us to win today. That creates it’s own pressure but it’s a pressure we dealt with successfully and headed on the long journey home with the win. Enough for now. Didn’t mean to write this much but sometimes things just have to be said. I promise to those following my blog that I won’t talk about football or indeed sport too much. When I do I’ll try to make it as interesting as possible for those who wouldn’t think it could possibly be interesting. However, I reserve the right to wander from time to time and you’ll just need to trust and follow or wait till I get back. We don’t need to go everywhere together although you’re always welcome. Last word(s) for today. We won! This entry was posted in Sport, Stirling Albion and tagged Football, Losing, Memories, Sport, Stirling Albion, Winning on March 2, 2013 by paulmclem. From next season match reports, photos and all that jazz will be no more. Not quite true. Will post the odd match report on here when the mood takes me, which probably won’t be that often but I rule nothing out. I like writing things down so I’ll almost certainly feel the need to vent and describe at some point. Just don’t rely on me for it any more. No game next weekend as the hapless Glasgow Rangers aka Sevco are likely getting scalped by Dundee United in the Scottish Cup. The Shire await on the following Tuesday at Forthbank. Can’t wait. Well, in truth I can. 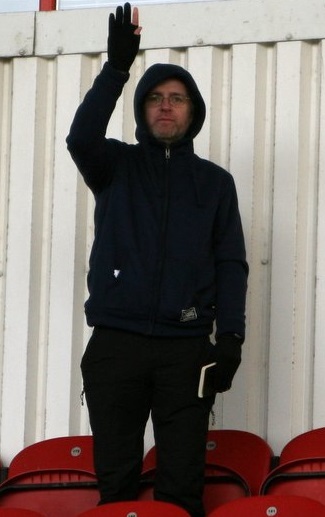 This entry was posted in Sport, Stirling Albion and tagged Sport, Stirling Albion on January 26, 2013 by paulmclem.